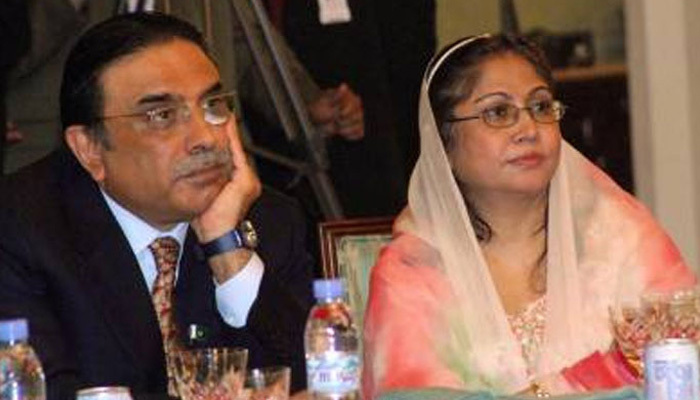 ISLAMABAD: The Supreme Court (SC) on Wednesday decided in principle to constitute a Joint Investigation Team (JIT) to probe a money-laundering and fake accounts case, allegedly involving former president Asif Ali Zardari and his sister Faryal Talpur. A three-member bench of the apex court, headed by Chief Justice Mian Saqib Nisar and comprising Justice Umer Ata Bandial and Justice Ijazul Ahsen, resumed hearing into a suo motu case regarding an investigation into the fake transactions worth billions of rupees conducted through several mainstream banks via ‘benami’ accounts. Chief Justice Mian Saqib Nisar said that the JIT will be formed to probe the matter in hand adding that names of the members will be announced later on. The court ruled that the investigation team will be required to submit its progress report after every 15 days. Former president Asif Ali Zardari, his sister Faryal Talpur and others are the respondents in the instant matter being investigated by the FIA for using fake accounts and their alleged involvement in fraudulent bank transactions to the tune of Rs35 billion. The FIA, which has been investigating a 2015 case pertaining to fake accounts and fictitious transactions conducted through 29 benami accounts, on the last hearing had recommended to the apex court to constitute a JIT. The FIA had contended that its DG Bashir Memon recommended formation of a seven-member JIT to probe the matter and said the team should comprise representatives from the Federal Board of Revenue (FBR), State Bank of Pakistan (SBP), Security and Exchange Commission of Pakistan (SECP), National Accountability Bureau (NAB), FIA as well as members from the Inter-Services Intelligence (ISI) and Military Intelligence (MI). On Wednesday, Barrister Aitzaz Ahsan, counsel for former president Asif Ali Zardari, Shahid Hamid, counsel for Omni Group Chairman Anwar Majeed and FIA Director General Bashir Memon appeared before the court. The court after hearing the learned counsel though did not pass any written order but ruled that JIT be formed to probe the instant natter for being a big corruption case, adding that names of the members for the JIT will be announced later on. FIA DG Bashir Memon while recording his statement said they conducted a raid at Omni Group’s Karachi office. During the course of hearing, FIA DG informed the court that they have found the documents related to Kam Crown International Trading House Company in Dubai during the raid. He contended that with the support of the said documents, the Agency conducted a raid at the Dubai office and found numerous records of foreign currency accounts. The records of accounts found from the Dubai office belong to family of Omni Group chairman Anwar Majeed and the transfers in the accounts were made by the same people as those indicated in the account details found earlier,” FIA DG submitted, adding that from Dubai, money was transferred to England and France. The FIA DG further told the court that they have also seized several hard drives containing a lot of data. It is pertinent to mention here that on last hearing of the instant case, the FIA had submitted a detailed report before the court regarding the case. The FIA, in its detailed report submitted before the court, revealed that its Anti-Corruption Circle launched an inquiry in 2015 on a source report, alleging suspicious fake bank accounts and massive inter and intra-bank transactions in four benami accounts. The transactions did not match with the profiles of account holders to have acted as instruments for parking illegal money, it added. The FIA further submitted that Anwar and Abdul Ghani —close confidante of Zardari — had been found to be owners of a Dubai-based foreign firm, KMA Crown. The FIA would formally request the government of the United Arab Emirates to investigate KMA Crown, says the report, adding that the UAE government will be approached through proper channels to ascertain the owners and directors of the said company. It is suspected that these companies are used by Haji Haroon for transfer of funds, the FIA added in its report. It further informed the court that Anwar and Abdul Ghani were accused of having deposited Rs3.12 billion and withdrawn Rs4.01 billion from 29 accounts. Although, both the accused admitted transactions in fake accounts however, they failed to produce any evidence in their defence regarding the use and purpose of said heavy amounts transacted in the said accounts. On Wednesday, Chief Justice said that they should form the JIT to probe the matter. Justice Ijazul Ahsen asked if anyone had reservations about the formation of a JIT. Chief Justice however, questioned as to who will have any reservations. At this Shahid Hamid, counsel for the Omni Group Chairman Anwar Majeed and Abdul Ghani Majeed opposed the formation of JIT to probe the instant matter, after expressing concerns over the media coverage pertaining to his clients. The chief justice however, observed that the case is not so small to be ignored, questioning as to whether angels transferred the money in the bank accounts and who will dig out as to whom the money belongs to as well. “At the moment we are not accusing anyone but the probe will reveal everything”, the CJP remarked However, Shahid Hamid contended that mention of political personalities is making as if like corruption was committed. 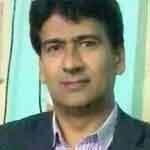 The learned counsel questioned as to how the court could direct an investigation agency to probe a matter. The constitution allows the court to issue directions for conducting any kind of probe”, the CJP replied adding that there is no law that bars the probe into a matter, involving fraud. Arguing before the court, Barrister Aitzaz Ahsan, counsel for Asif Ali Zardari contended that a probe into the matter is already under way and being referred to a trial court. The CJP however observed that the court wants to constitute a team based on experts so that they can probe the matter while using their expertise in the investigation. During the hearing, Attorney General Anwar Mansoor submitted that the authorities are facing certain problems while investigating financial institutions and banks outside Pakistan. He submitted that in the first phase, countries could be contacted for collecting information about the said banks adding that usually these banks decline to share personal accounts of the customers. The AG further said that help of skilled private person cannot be sought. However, the AG submitted that National Database and Registration Authority (Nadra) can be approached as its IT Department has skilled persons having the expertise in the field.